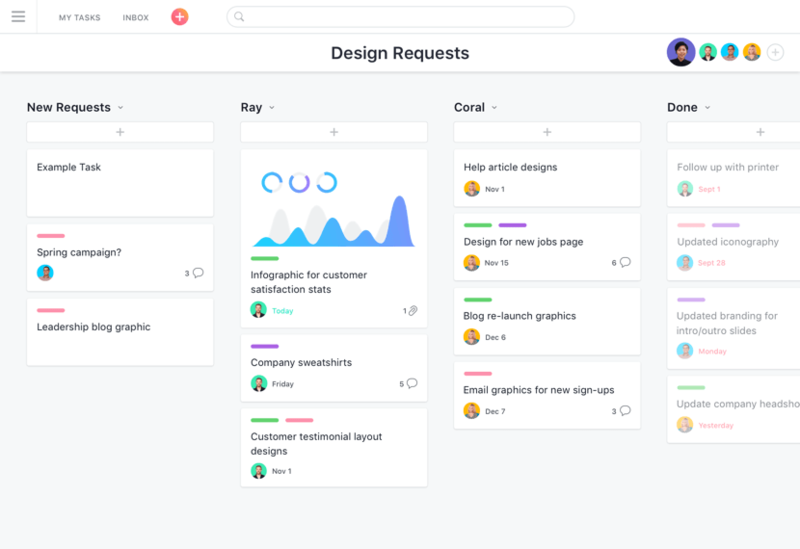 Organize everything you need to keep track of individual and team tasks–and get them done faster—with Asana. 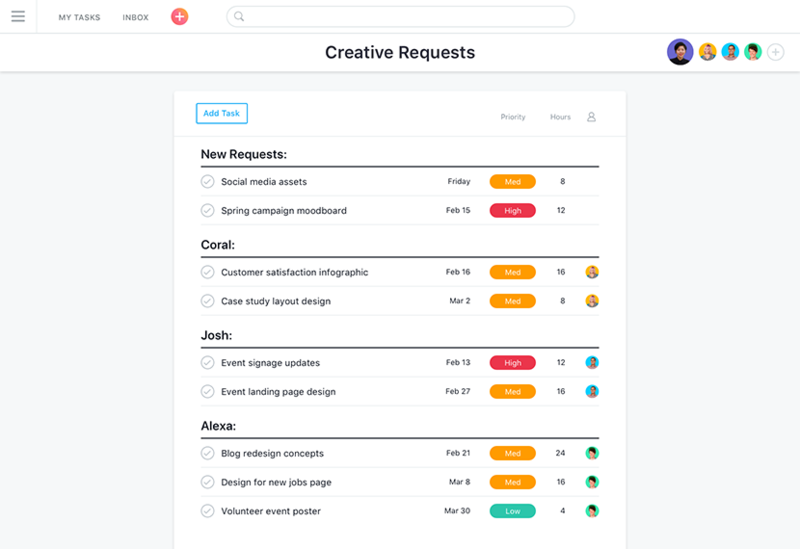 Task management is more than a to-do list. 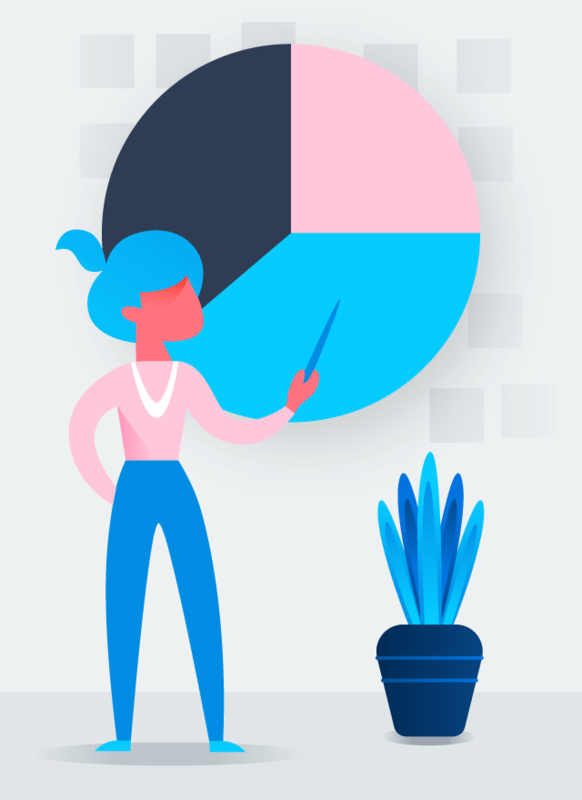 It means tracking tasks from beginning to end, delegating subtasks to teammates, and setting deadlines to make sure projects get done on time. 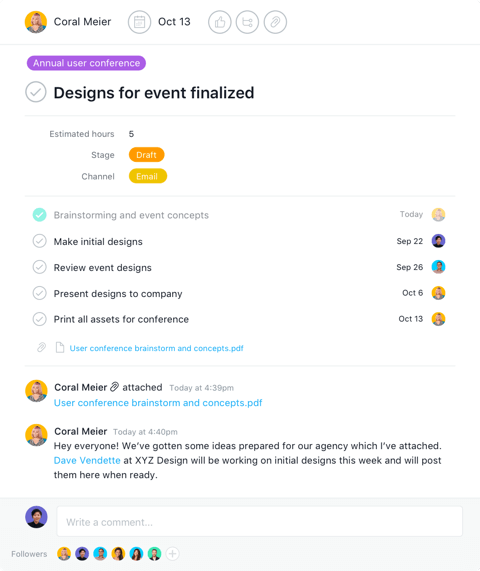 Task management software, like Asana, empowers teams to work more productively and efficiently. 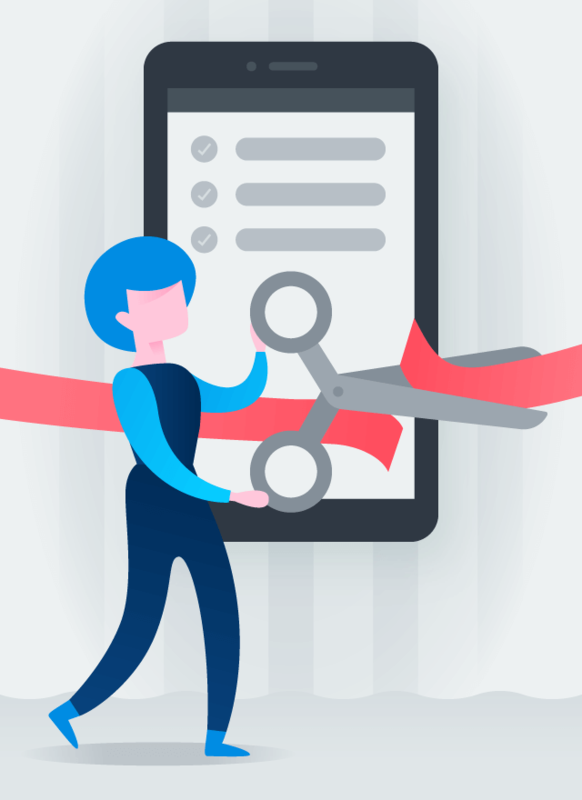 Why do you need task management software? Save time, avoid losing work and information, delegate, and track tasks to stay on schedule and hit deadlines. 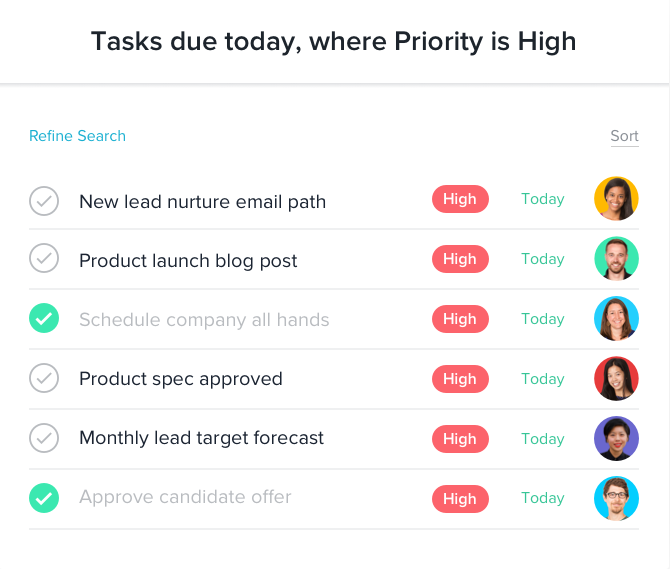 Tracking tasks allows everyone to understand which are more important or require more time, so teams can plan their time and meet deadlines. 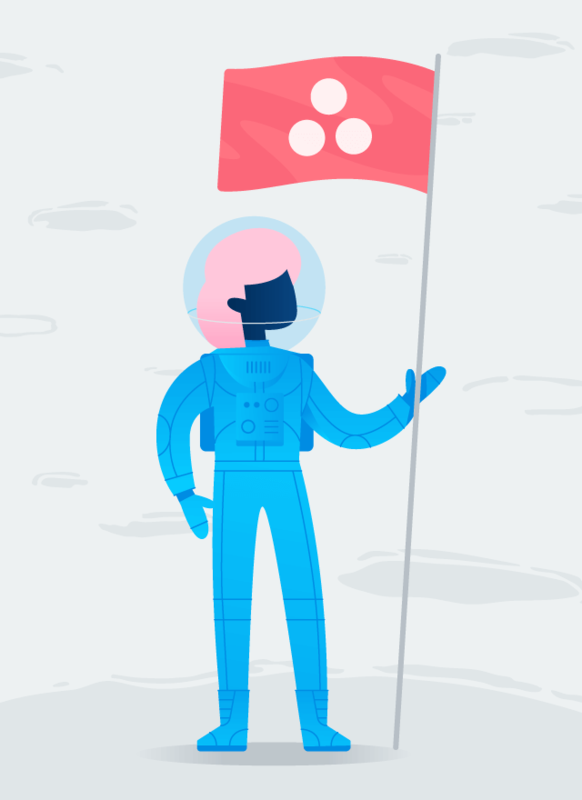 Share files, feedback, ideas, and more so teammates can tap into the same pool of knowledge whenever they need. See all of your daily to-dos under one roof; plus, set deadlines and reminders to get tasks done. Partner with teammates to share ideas, feedback, knowledge (and more), and keep everyone in the loop. 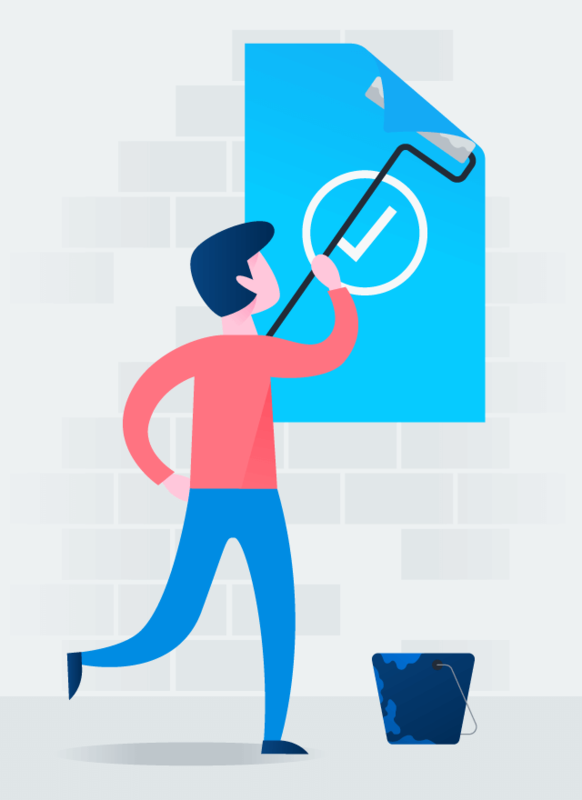 Assign tasks and subtasks to others, and track progress to make sure nothing slips through the cracks.